A new study from the National Bureau of Economic Research have examined how credit access affects the way Americans look for new jobs. It turns out that credit can often help job seekers in a marked way especially those with lower income and fewer savings. The study found that when workers lose their jobs, a higher limit on their existing card allows them to take longer to find a new one. The study linked up an employment database with millions of Trans Union credit reports from 2001 to 2008. It showed that a credit limit increase equal to 10 percent of a person’s prior annual salary can translate into their spending as many as three weeks more looking for a job.This situation is ideal for people who do not have any debt burden on their shoulder. 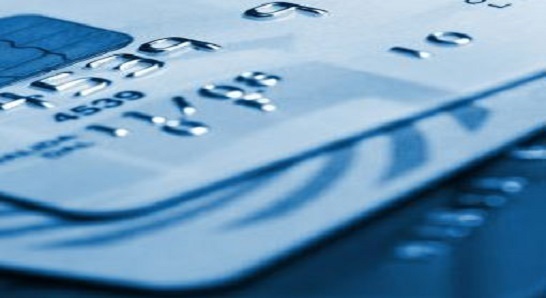 Moreover you have to use your credit card sensibly in such situations. Longer unemployment might sound like a serious situation as people are anxious about their finances and future. But it’s also a mistake to jump at the first job opportunity that comes your way because you’re desperate for money. It is observed that when unemployed people have access to more credit they become choosier regarding jobs. Most often they end up with better jobs a year later, both higher-paying and at larger, more productive companies. The study found that it’s not really credit-card spending that makes people to be pickier. It’s the fact that they knew that cash was available if they needed it, which gives them confidence to hold out longer for better opportunities. For the unemployed a credit card with a generous limit can work much as unemployment insurance or emergency savings. These extra resources give them the ability to apply for jobs, network, get retrained, or even move to cities with more promising job markets. The problem, however, with relying on credit-card debt after a job loss is that banks are notorious for cutting off credit just when customers need it most. In 2009, the average credit-card limit dipped about 40 percent. So when lots of people lose their jobs, that credit-card cushion can vanish. In other words, job seekers and government policymakers have similar, difficult choices to make during a recovery: If people rush out to find any old job as quickly as possible, they can hurt their finances and productivity in the long run. But if they have the opportunity to wait for the right job to come along their way it can surely help them avail the right job at the right time.